Demega formulations India is involved in offering excellent quality medicines to our most valued clients. Treatments for acute and chronic pain are generally quite different. Chronic Pain is part of a widespread disease process, once we have identified the specific factor causing the pain, we may be able to treat it so that the condition no longer occurs. Chronic pain is an ongoing condition, such as back and neck pain, headaches, complex regional pain syndrome , Neuropathic Pain (nerve Injury Pain), Musculoskeletal Pain, and pain related to illness. Our offered products are widely appreciated by our clients which are situated all round the world. 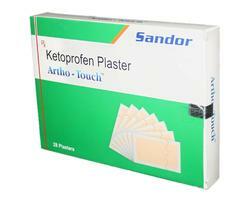 Demega formulations India is a major exporter of "Artho-Touch(Ketoprofen20mg)Transdermal "new drug delivery system patches give longer duration of action and is a medicated adhesive patch that is placed on the skin to deliver a specific amount of Ketoprofen through the skin and into the bloodstream and one-patch stays effective for 24 hrs. 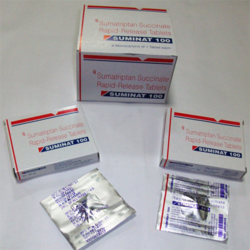 With assistance of highly practiced workers, we engaged in offering a wide assortment of Methylprednisolone Tablet. Our offered methylprednisolone tablet is perfectly processed by vendor’s experts consuming ultimate quality ingredients and highly modern technology. Our vendor’s quality experts accurately checked the complete assortment of methylprednisolone tablet to supply flawless range. 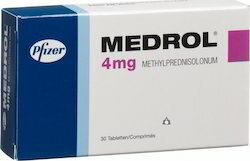 This methylprednisolone tablet is highly admired for its effectiveness and is available at reasonable rates. Dose Adult: Initial: 1-2 g 4 times/day till remission. Demega formulations India is a major exporter of "SAAZ(Sulphasalazine)"is for rheumatoid arthritis ,juvenile rheumatoid arthritis not responding to salicylates or other anti-inflammatory tablets. "SAAZ(Sulphasalazine)" helps to reduce joint pain, swelling, and stiffness. Demega formulations India is a major exporter of "ZURIG(Febuxostat)" is xanthine oxidase inhibitors works by decreasing the amount of uric acid made in the body. 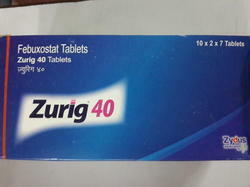 "ZURIG(Febuxostat)"is used to prevent gout attacks taken once a day with or without food. It is available in 40mg. And 80mg tablets form. 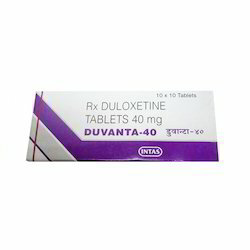 Along with colchicine anti-inflammatory drug "ZURIG(Febuxostat)"is prescribed to prevent gout attacks during the first 6 months of treatment . Demega formulations India is a major exporter of Teriparatide Vials "FORTEO(Teriparatide)" a peptide fragment of human parathyroid hormone, stimulates new bone formation on trabecular and cortical bone surfaces. Anabolic effects of "FORTEO(Teriparatide)" increase bone strength and bone formation. 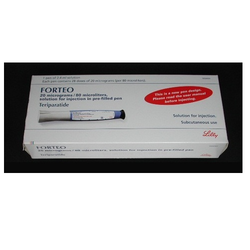 For Post Menopausal Osteoporosis & Primary Or Hypogonadal Osteoporosis(Males) "FORTEO(Teriparatide)" is indicated. Demega formulations India is a major exporter of "SAZO (Sulphasalazine)"is Generic azalfudin and is used for rheumatoid arthritis, juvenile rheumatoid arthritis not responding to salicylates or other anti-inflammatory tablets. 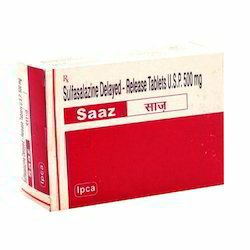 "SAZO (Sulphasalazine)" helps to reduce joint pain, swelling, and stiffness. Demega formulations India is a major exporter of "FORTEO(Teriparatide)" stimulates new bone formation on trabecular and cortical bone surfaces, increases bone strength and bone formation. 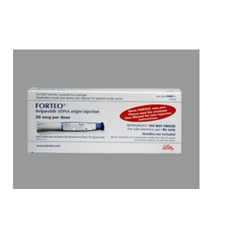 FORTEO(Teriparatide)" is indicated for POST MENOPAUSAL OSTEOPOROSIS & Primary or hypogonadal OSTEOPOROSIS(MALES) ". Dose/Strength (ex. 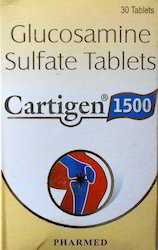 1 mg or 1 ml) Adult : Initial:16 mg/day. Up to 8 mg/day. Demega formulations India is major exporter of Myoril (Thiocolchicoside)capsules a muscle relaxant with anti-inflammatory and analgesic effects. 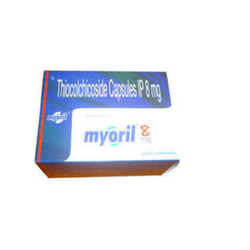 Myoril (Thiocolchicoside ) capsules acts as a competitive GABAA receptor antagonist used in painful muscle spasms caused by degenerative vertebral disorders, dorsal pain, low back pain, torticollis, traumatological and neurological disorders. 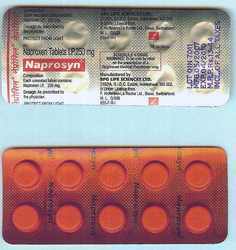 Demega formulations India is major exporter of Naprosyn (naproxen) a nonselective COX inhibitor used to treat pain or inflammation caused by rheumatoid arthritis, osteoarthritis, ankylosing spondylitis, tendinitis, bursitis, gout, or menstrual cramps. 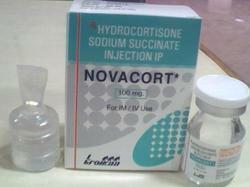 Demega formulations India is a major exporter of NOVACORT(Hydrocortisone sodium succinate)is a corticosteroid used for its anti-inflammatory and immuno suppressive effects,also used as replacement therapy in adrenocortical insufficiency. NOVACORT(Hydrocortisone sodium succinate)is Applied IV as jet, IV as drip, rarely - IM.depending on the clinical situation in Soft tissue inflammation,Joint inflammations,Corticosteroid-responsive dermatoses. Demega formulations India is a major exporter of "DICLO-TOUCH (Diclofenac 100mg)PATCH" uses a new Transdermal drug delivery system with longer duration of action used in managing moderate and mild pain conditions,placed on the skin to deliver a specific amount of Diclofenac through the skin and into the bloodstream and is suitable for General Pain,Swellings,Pain after Trauma, Myalgia etc. 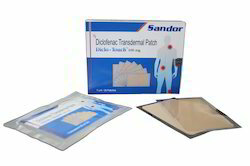 ADVANTAGE of "DICLO-TOUCH (Diclofenac 100mg)PATCH"is reduction of systemic side effect. Demega formulations India is a major exporter of RETOZ(Etoricoxib) used in the treatment of inflammation and rheumatism.works by blocking the action of cyclo-oxygenase. 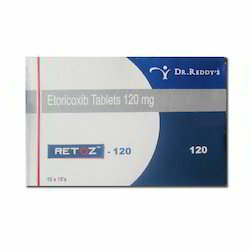 relieving pain and inflammation.RETOZ(Etoricoxib)IS INDICATED FOR OSTEO AND REHUMATOID ARTHRITIS,Acute GOUT. Demega formulations India is a major exporter of "ZURIG(Febuxostat)" is xanthine oxidase inhibitors works by decreasing the amount of uric acid made in the body. "ZURIG(Febuxostat)" is used to prevent gout attacks taken once a day with or without food. Along with anti-inflammatory drug "ZURIG(Febuxostat)"is prescribed to prevent gout attacks during the first 6 months of treatment . 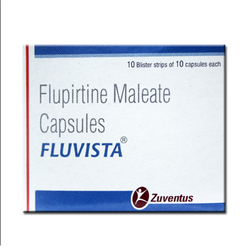 "FLUVISTA (flupirtine)" has neuro-protective properties and use in multiple sclerosis, alzheimer disease being studied,migraines, in oncology, postoperative care, and gynecology. 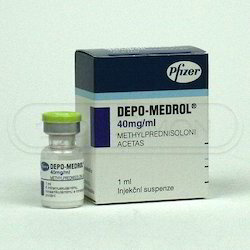 flupirtine is marketed in usa/uk by brand names" Katadolon, Trancolong, Awegal"
Demega formulations India is major esporter of DEPO-MEDROL is an anti-inflammatory glucocorticoid for intramuscular, intra-articular, soft tissue or intralesional injection. It is available in three strengths: 20 mg/mL; 40 mg/mL; 80 mg/mL. Dose Adult: PO 40-80 mg 3 times/day. "DROTIN(Drotaverine)"effective pain relief in patients with renal colic, Biliary colics,Cholecystolithiasis, cholecystitis, cholangitis. 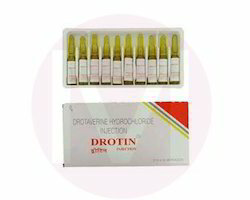 "DROTIN(Drotaverine)" for Renal colics and spastic conditions of the urogenital tract: Nephrolithiasis, Dysmenorrhea, imminent abortion, uterine tetanus. Demega formulations India is a prime exporter for"LOX2%(Lignocaine)Jelly" used to prevent and control pain during certain medical procedures such as inserting a tube into the mouth, nose, throat, or urinary tract (e.g., endotracheal intubation, urinary catheterization). "LOX2% (Lignocaine)Jelly" is also used to numb and treat inflammation of the urinary tract (urethritis)and available in 30 ml Vial & 5% ointment. Dose Adult: 40-80 mg 3 times/day. Demega formulations India is major exporter of Arthrill MASSAGE OIL (Capsaicin, wintergreen oil , Camphor, menthol, commiphora mukul )lotion is an effective and very well-tolerated painkiller useful for knee and hand osteoarthritis, neuralgia (shingles), Arthrill MASSAGE OIL is prescribed for the pain management due to sprains, arthritis, strains, bruising, herpetic neuralgia and backaches. 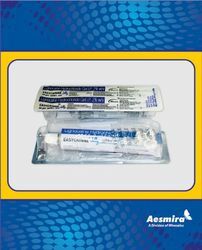 Demega formulations India is major exporter of Lidocaine Ointment Lidocaine topical jelly or ointment is used on different parts of the body to cause numbness or loss of feeling for patients having certain medical procedures. 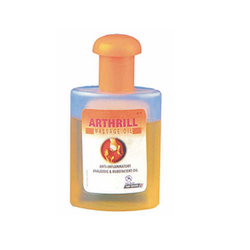 Lignocaine Jelly offered comes with superior constitution support and supports relieving pain and itching. Demega formulations India is major exporter of Hydrocortison Injection prescribed for severe allergies, arthritis, asthma, multiple sclerosis and skin conditions. 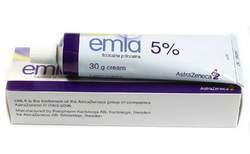 Demega formulations India is major exporter of EMLA (Lidocaine/ prilocaine cream) used for relieving pain of normal intact skin and numbing skin to pain from injections and other medical , relief from tingling ,pricking or numbness of a person's skin. 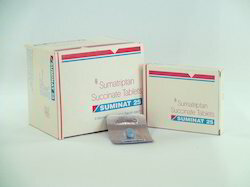 Suminat tablets(Sumatriptan succinate) used at the first sign of a migraine headache for treating nausea, vomiting and light sensitivity occurring as a result of migraines. Demega formulations India is a major exporter of CLEXANEEnoxaparin is a low molecular weight heparin having anticoagulant properties for Subcutaneous use in unstable angina, as a Prophylaxis of VENOUS THROMBO EMBOLISUM during surgical procedures,Subcutenious in DEEP VEIN THROMBOSIS. Enoxaparin in USA is marketed by brand name"CLEXANE"
Lidocaine Ointment offered comprise Easycainne 5% Ointment which works as local anaesthetic and is available in 20 gm tube packaging. Looking for Pain Relief Medicine ?